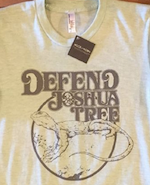 In brief, the Joshua Tree Downtown Business Alliance has filed an appeal which will be heard by the San Bernardino County Board of Supervisors during their Tuesday, June 4, 10am meeting in San Bernardino. We will be there to support the JTDBA’s effort. This entry was posted in Dollar General, Dynamic Development, Joshua Tree Downtown Business Alliance and tagged Dollar General, Joshua Tree. Bookmark the permalink.